Sugar is increasingly being linked to the development of Western lifestyle diseases including tooth decay, obesity, cardiovascular disease, cancer, dementia and type 2 diabetes. Sugar is detrimental for the health because it contains a molecule of fructose. Refined crystalline fructose used as a food ingredient is damaging to the health because it can only be processed by the liver. In excessive amounts it overloads the liver with energy because it is rapidly absorbed in its unrefined state. Excessive fructose intakes shift the metabolism of the liver to one of synthesising fatty acids through the de novo lipogenesis pathway, and the resultant fatty acids accumulate in skeletal muscle and the liver. Here the fatty acids interfere with the insulin signal cascade and contribute significantly to the development of insulin resistance, a cause of weight gain and disease. The typical Western diet contains too much fructose because sugar is a common ingredient in many foods, many of which do not really need added sugar. Ready to eat breakfast cereals often contain hidden sugar. 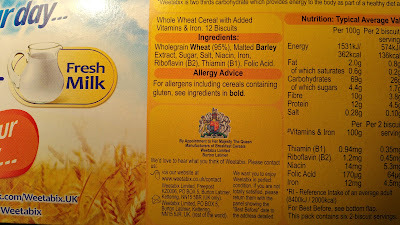 Many breakfast cereal manufacturers claim their cereals are ‘healthy’ or ‘whole grain’, when they are neither of these things. Adding sugar to breakfast cereals is done to improve the taste, and this is often necessary because the consumer is used to the taste of high sugar foods. Without the addition of sugar, the cereals taste bland and unpalatable to the typical Westerner who has been raised on a high sugar diet. Sugar is also often added to the cereal by the consumer for the same reason. The added sugar content in some cereals is not large. This added sugar would likely not be detrimental if it was not for the fact that sugar intake is cumulative. So many foods now contain sugar that intakes of small amounts of sugar are detrimental when the diet as a whole is considered. Avoiding Western diseases necessitate avoiding added sugar and this means the careful reading of food labels to find that sugar which has been hidden in foods by the manufacturers. Figure 1. 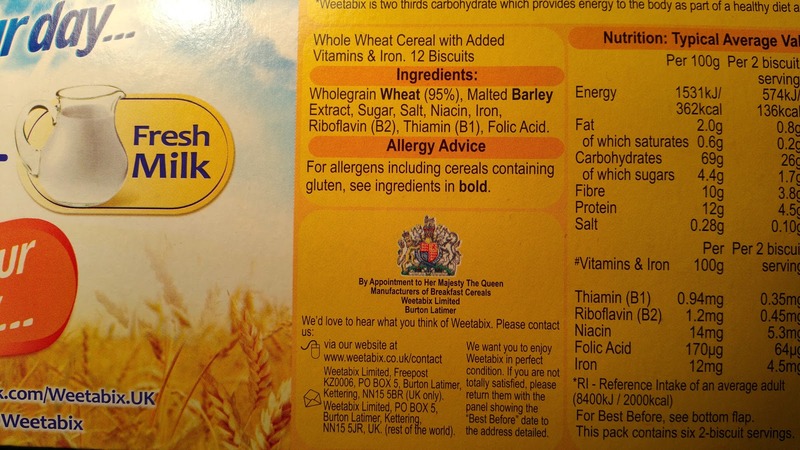 The ingredients of a brand name ready to eat breakfast cereal clearly shows added sugar.